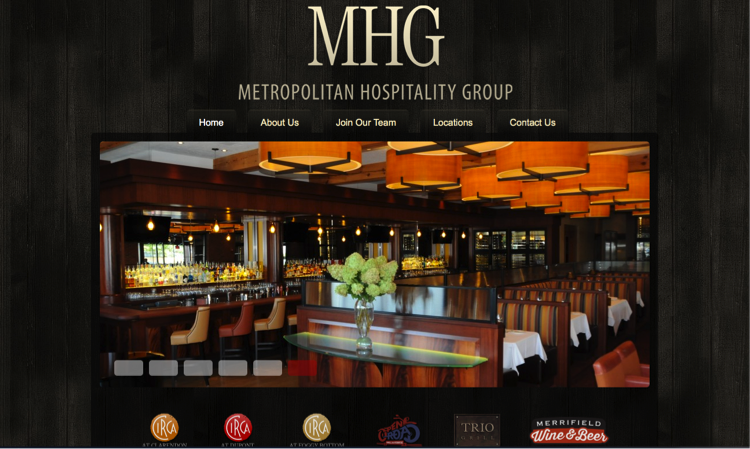 In addition to its well-known Circa restaurants, MHG Group owns and operates three distinct businesses in nearby Merrifield, VA: TRIO Grill, Open Road Grill & Icehouse, and Merrifield Wine and Beer. While the prime locations of the Circa restaurants practically marketed themselves, TRIO and Open Road’s off-the-beaten path location provided a challenge. TRIO — a modernized American chophouse featuring a cigar lounge, USDA prime steaks, and live piano music — faced the greatest hurdle. Delucchi Plus was hired to boost awareness and drive traffic at all three establishments. Our six-month strategy targeted residents of the adjacent Mosaic District and employees of nearby major corporations through digital ads (display, PPC, and social), content marketing, media outreach, influencer events, and search engine optimization. Each campaign centered on a newsworthy, engaging “hook” (“A New Take on Steak” and “The Can’s Comeback” are two standouts) used across mediums to drive traffic to campaign-specific landing pages. Digital ads also focused on competitive search terms like “happy hour” and “private dining,” as well as special events like World Cup and NFL Sundays, all within a specific geo fence. Additionally, we optimized MHG’s listings on sites like Yelp, UrbanSpoon, and Zagat, including implementing a Private Dining feature on OpenTable. Our online advertising efforts brought excellent returns, increasing the quality of traffic to the TRIO and Open Road websites. PPC helped boost average time on site by 45 seconds and average page visits by .55. Across display campaigns, all ads performed well above the industry standard click-through rate of .08%. Lastly, an advertising and event partnership with Posh Seven Magazine yielded a 2:1 return on investment, building considerable buzz. Using a combination of newsworthy pitches and influencer invitations to dine at TRIO, our media outreach earned the businesses local and national press coverage. Outlets that covered TRIO and Open Road included Examiner.com, Food Fanatics Magazine (written by national food journalist Nevin Martell), and News Channel 8’s “Let’s Talk Live,” as well as by local power bloggers Eater DC and The Hungry Lobbyist. Best of all, our regular outreach made MHG a go-to contact for several prominent food reporters, sowing the seeds for even more coverage going forward.